Work pressure had been bogging me down and I was missing the call of the wild imagining myself on one of those biking trips across Jallori Pass with the breeze touching me and the throttle setting my adrenaline rushing; just like the good ol’ days!. This Friday I finally switched off the mobile and packed away the laptop. The call of the mountains was too good to resist. Bade goodbye to the wife and my little brat. It was time to be along with my pal, George, the mean 350cc machine on two wheels. I first went to Kotgarh where the Bullet is parked. Worked on the machine so as to set for a good hike. The journey to Jallori Pass started at 7 in the morning. Cutting across apple, cherry and plum orchards through Bhutti, Kotidhar and traveling along the horticulture road I reached Bithal. Tanked up at the Indian Oil fuel station and traveled on the NH 21 to Sainj. Left the highway at Sainj and took the link road to Luhri, a 5 km run. At Luhri, one crosses over to Kullu valley. This is the gateway to Kullu from Shimla side. Took a left turn from Luhri bazaar and the road runs parallel along the Satluj. It is a nice drive till Behna and then took the turning to Ani and the climb started. The road is dotted with green kyars and the kuhls running parallel to the road. Quite a scenery! Behna to Ani is a 20 minute drive. Crossed the crowded Ani bazaar, nothing much to write about. Ani is the last point from Shimla side where there is a fuel station. One can always have some last moment repairs & check air pressure etc. 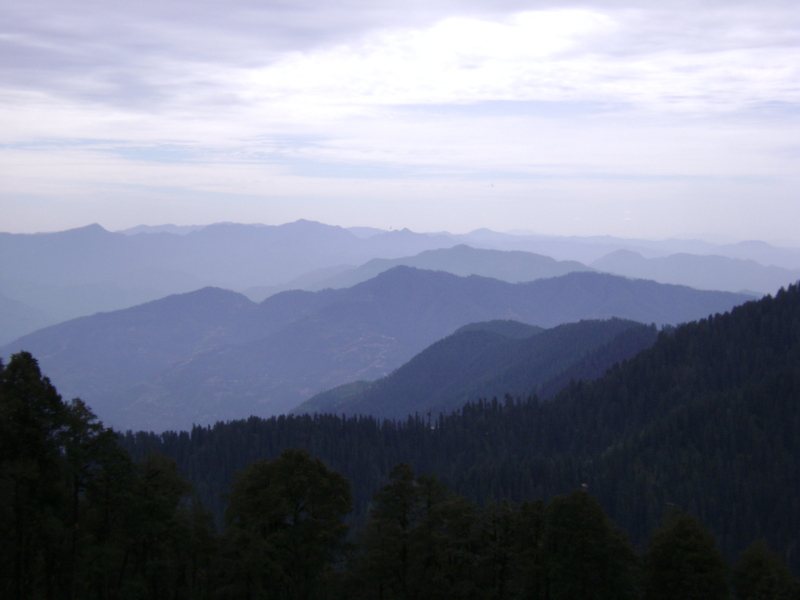 Jallori (jot) pass is situated at a height of 3550 meter from sea level. On top of the jot is a temple of Ma Kali and a few tea stalls. 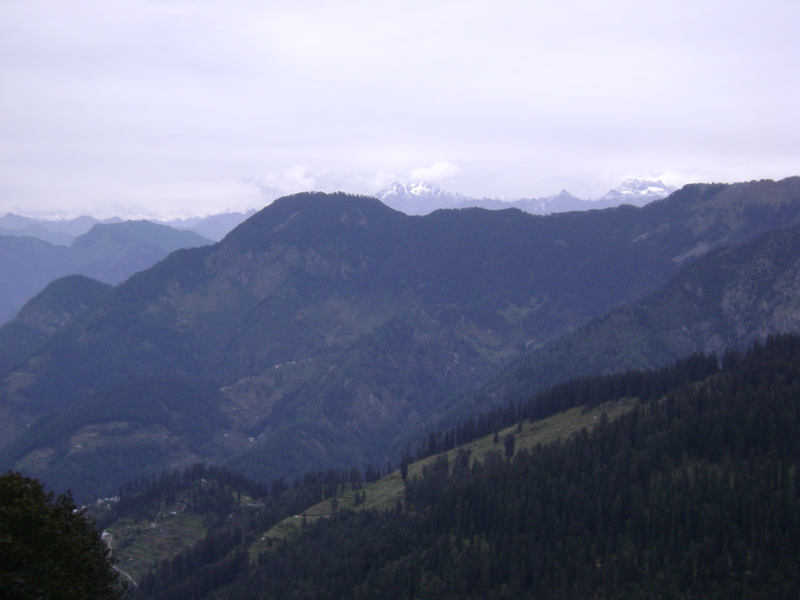 The jot connects the outer Seraj area of Ani, Nirmand, Dalash with the district head quarters of Kullu. The jot remains closed from December to March and receives around 12 feet of snowfall during winters. People still cross the jot in winters on foot I was told. It was time to give George some rest and for me a well deserved breakfast. I was carrying a loaf of bread, some butter and jam. Ordered a 4 egg omelet in one of the stalls with hot chai. I don’t get a chance to breakfast at 12,000 feet so often. Further ahead of the Jallori jot one can trek upto the Sarolsar lake, a 30 minute level walk. I have been there earlier so skipped this one. The lake surrounds an ancient temple of Buddi Nagin where the only offering is accepted that of desi ghee. If you have your own gear, it is a nice place for camping. Quite a place, I must tell. After treating myself to the wonderful chill on the pass and some awesome breakfast it was time to finish off the remaining leg of the journey. From Jallori, it is all the way down. Shoja is further 12 km and I must warn the road is pathetic till Shoja. 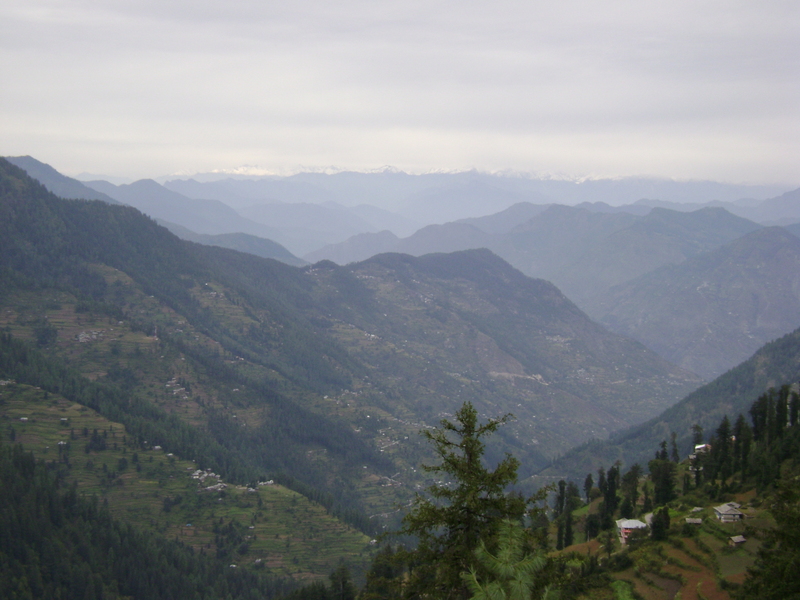 The scenery is dotted with dense forests and you also enter the dark world of the various kinds of Kullu cream here. Found two blokes on road shouting sutta, sutta, Jai Shiv Shambu, obviously offering me a joint. Shoja has nice view of the valley and is dotted with apple orhards. Banjara Camps run a retreat at Shoja. Quite amusing at this height. Had a round of the retreat. It has all basic amenities and is recommended if you seek a holiday with solitude and are passionate about the mountains. After Shoja further down 15 km I reached the village of Jibhi. This is a decent village with a few shops and a good eating joint just on the main road run by a lady from Delhi who is married to a local and have some amusing stories to share. Don’t miss out the gharat installed in the backyard of the house. It is quite something which one doesn’t see around these days. Marvel of village engineering. Saw a few foreign faces at Jibhi bazaar. Metalled road stretches start appearing after Jibhi and the road winds decently to Banjar which is a sort of main hub of the area. The shops dotted with goodies one can imagine. The bazaar is narrow and you may find occasional traffic jam. After coming all the way from Ani and enjoying the serenity of the area, crowded Banjar gives you a jolt! Drive from Banjar to Aut took me 45 minutes. I crossed the small village of Larji which is a centre of activity for dam site and the link for Kullu-Sainj is also from this place. The weather starts hotting up as you get nearer to Larji and Beas river. At Aut the river Larji meets Beas and they have made a dam here. Crossed the dam site. No photos, warned one of the sign board. The CISF guys manning the road looked like they meant business. Touched the Manali highway just next to the Aut tunnel. Earlier when the dam was not built this road used to meet the highway at Aut bazaar but now you cross the tunnel in order to reach Aut and further ahead to Kullu and Manali. My next stop was Mandi so I skipped the tunnel and rode the remaining 35 km in fury crossing Pandoh. Finding my brother’s house was no big deal. It was a surprise as he had no clue I was coming. We chatted all along the afternoon and evening. Not before he had his share of riding George in Mandi bazaar and showing the machine to his friends and colleagues. It was a lazy morning the next day. Brother left for work early and I had a late breakfast and then left Mandi at 1 pm. Returned back to Shimla via Ghagas and Jukhala. Just for the record, Luhri to Aut is 90 km. 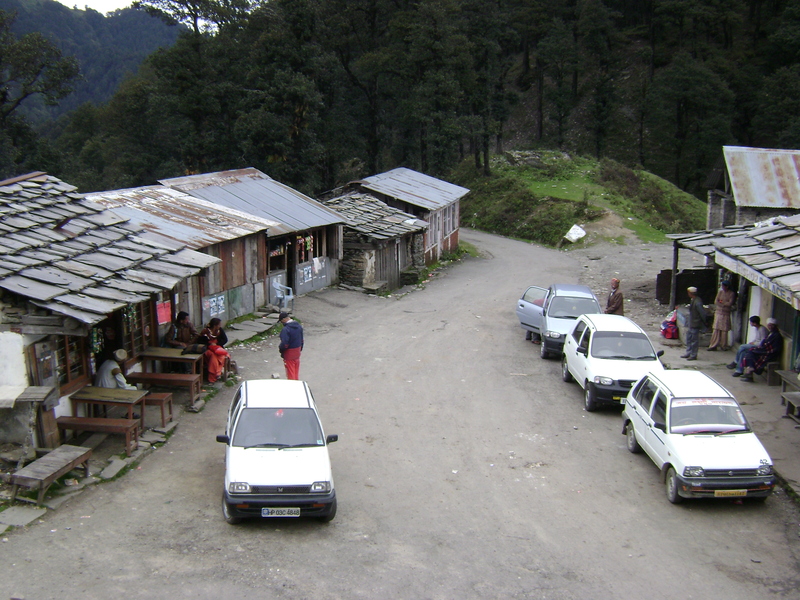 One can get fuel if coming from Shimla side at Narkanda, Kingal, Bitthal and Ani. From Aut side, Larji is the last station where one can get fuel. In case of burst tyre or small repairs Ani is the last point where you can get help. From the other side, Banjaar is the place to be. The route is recommended if you have the adventurous tee in you. NOT recommended to travel with a family. At times the road gets blocked due to cloud burst, trees felling on road and land slides. Have proper spares while traveling on a bike or a four wheeler. Be prepared for long trek or a night out in the jungle. 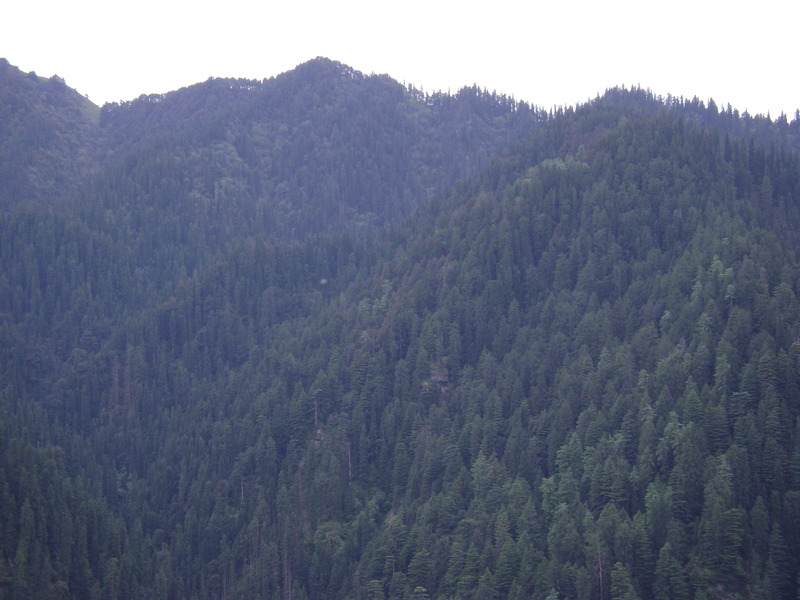 The area is dotted with Himalayan bear and leapords. No cars are recommended as the road is pretty bad in stretches and an inexperienced driver may knock off the chamber due to very low ground clearance. If you prefer a four wheeler then Qualis, Sumo and Ballero are recommended. Before you label me a spoil sport, I would recommend traveling with family till Shoja from Aut side as the area is inhabited more and less. It can be a lot tougher to get stuck when traveling from Shimla side between Ani and Jallori Pass. The route I took was Luhri – Ani – Khanag – Jallori Pass – Shoja – Jibhi – Banjar – Larji – Aut. 10 Responses to "Crossing the Jallori Pass"
Yeah.. it looks like a grade 7 essay. I forgot to clik more pics! What an amazing trip. And your pictures are great. Be careful. I really like this site and Crossing the Jallori Pass | Himachal Live . I read about you on another site I found on AOL and thought they had great views as well.